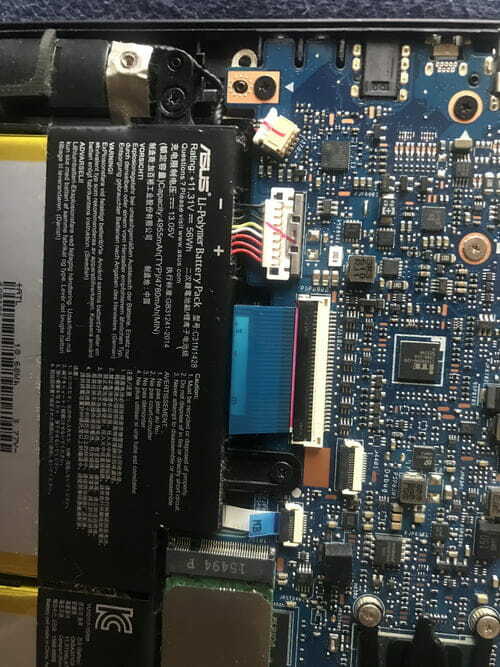 My asus laptop isnt turning on . I tried all the method but still wont turn on. I unplugged the battery and plugged the power cable. It automatically turn on. Is that mean my battery is damaged? In the picture. The blue cable that connects battery to the motherboard has white dot. Is that broken? No, that indicates the plug orietation to the slot. I dont understand how it can turn on with no way to energize, per your description the power cord is unplugged along with the battery is out.